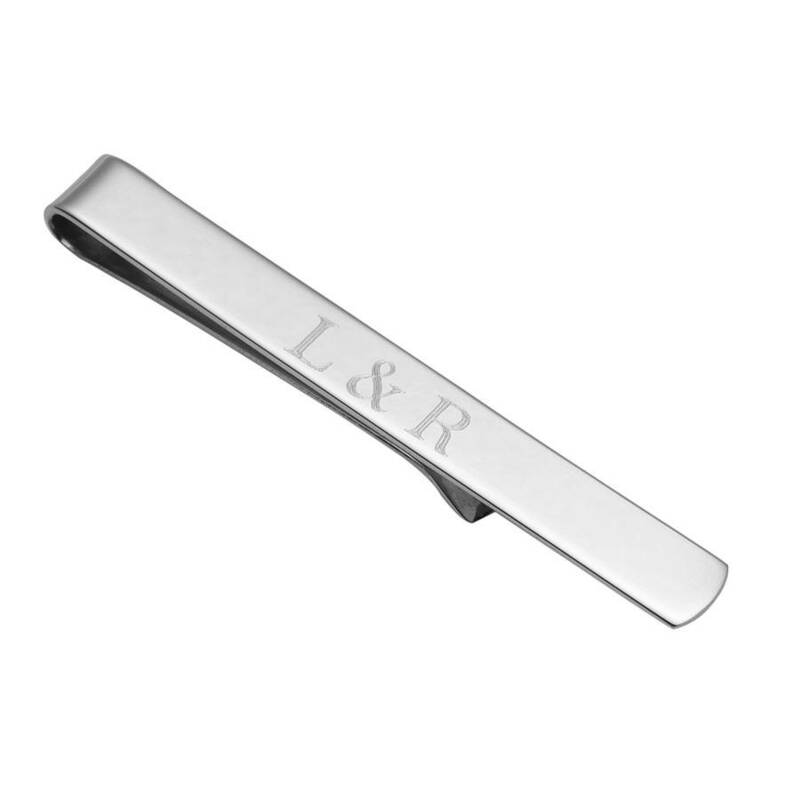 This sterling silver tie clip can be personalised with a name or initials on one side and a message on the reverse. 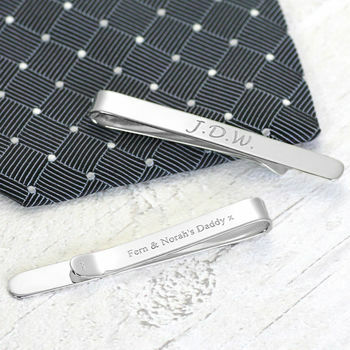 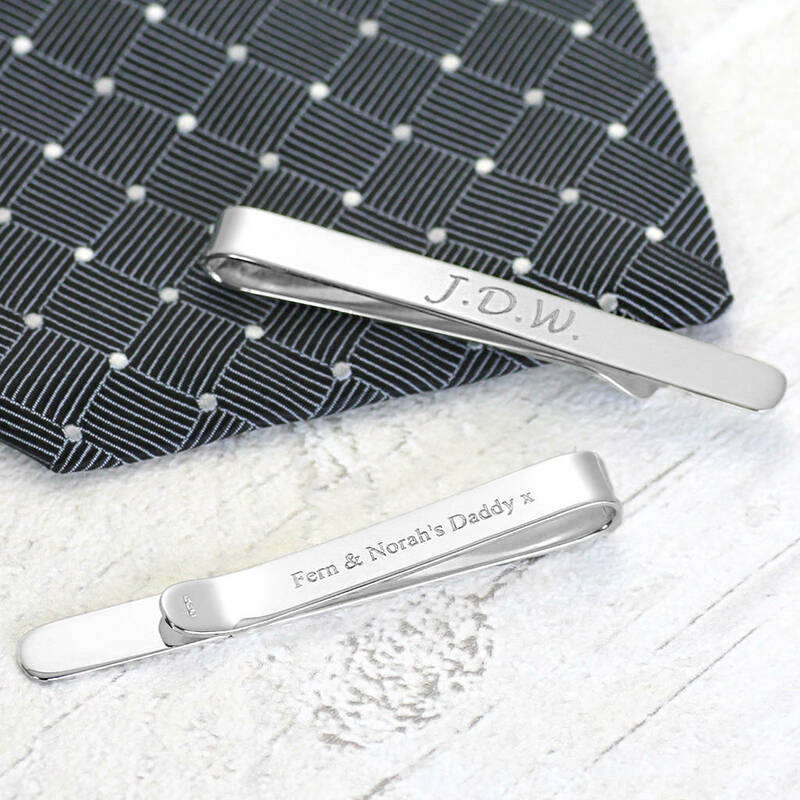 Whether for a birthday, Christmas or Father's Day, this silver tie clip makes an unusual gift especially when it is personalised. 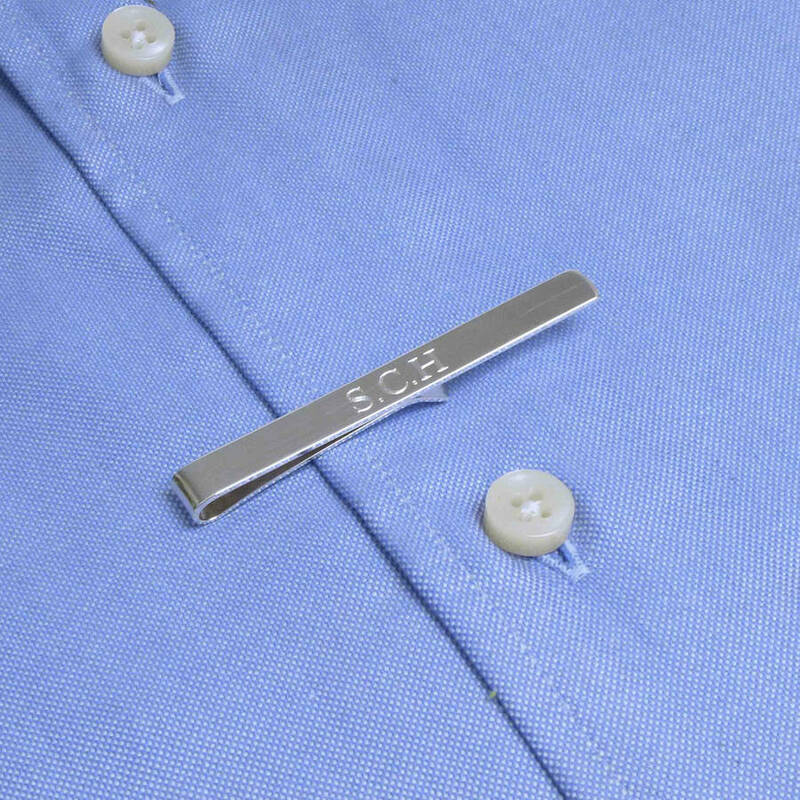 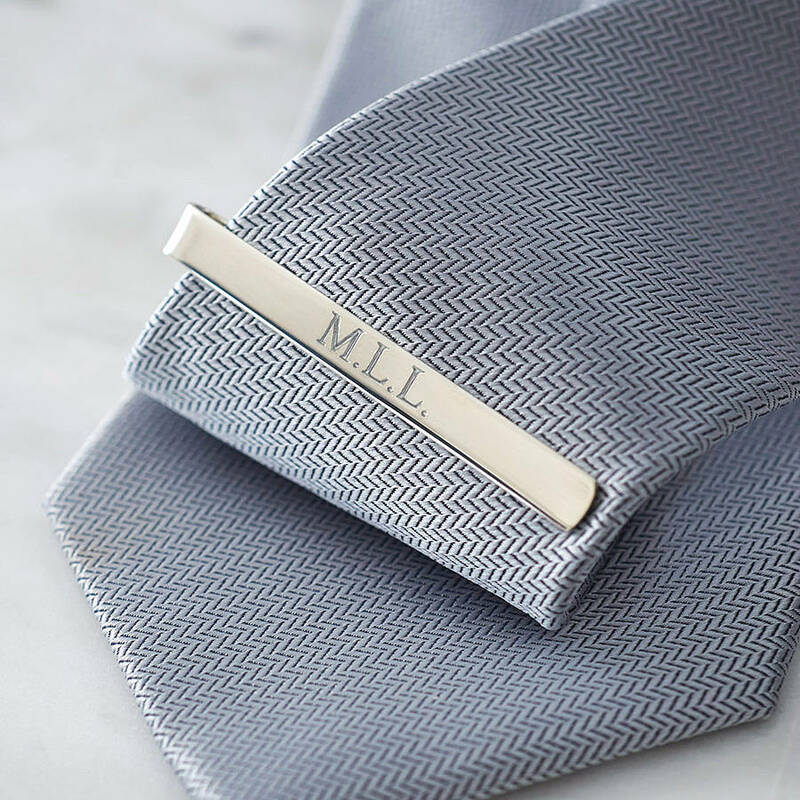 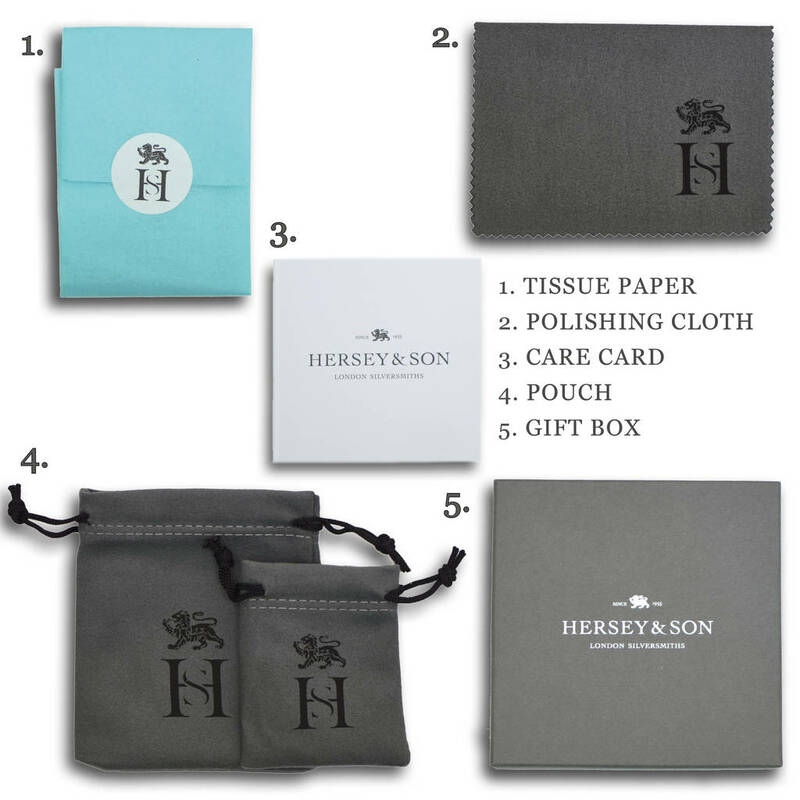 The tie clip, or tie slide, can be engraved with a name or initials on the front, while the reverse can be engraved with a 'secret' message that is hidden from public view. 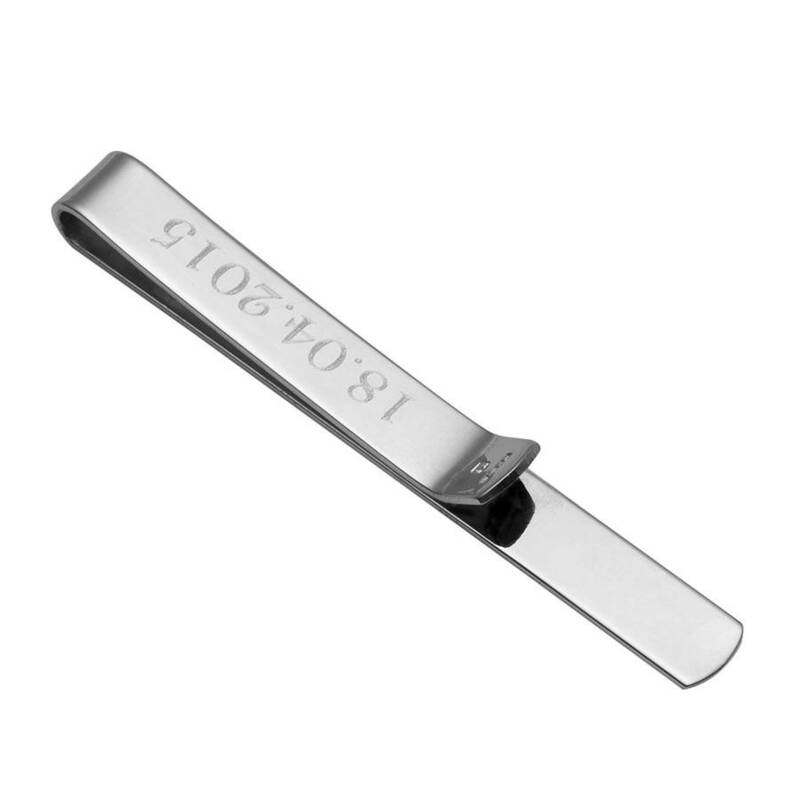 Solid Silver and Hallmarked in London.